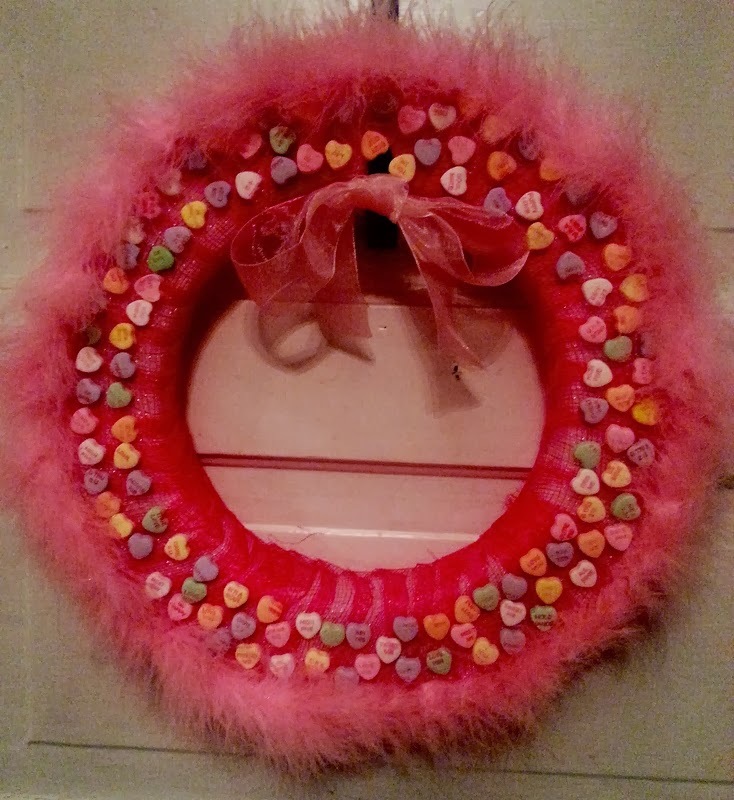 I've posted this one before but thought I'd do it again because it's super simple to make a Valentine's Wreath. All you need is a form. If you don't have one, you can even use a piece of cardboard. 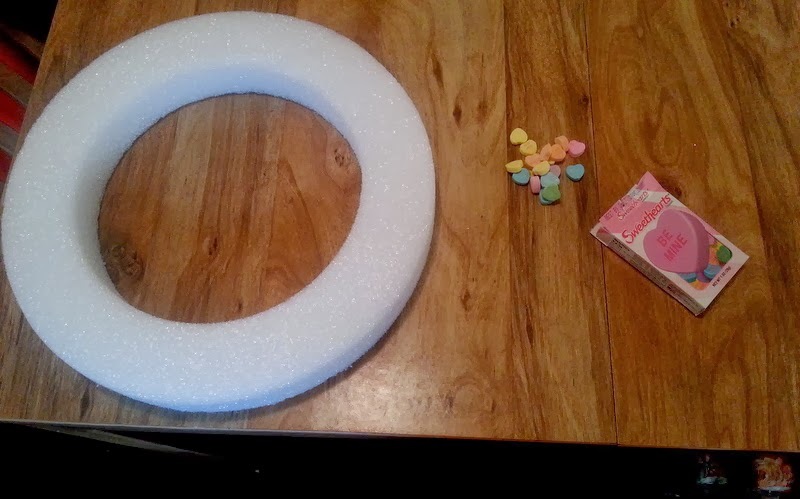 Then start adding confectioner's hearts to the form, with a little glue. 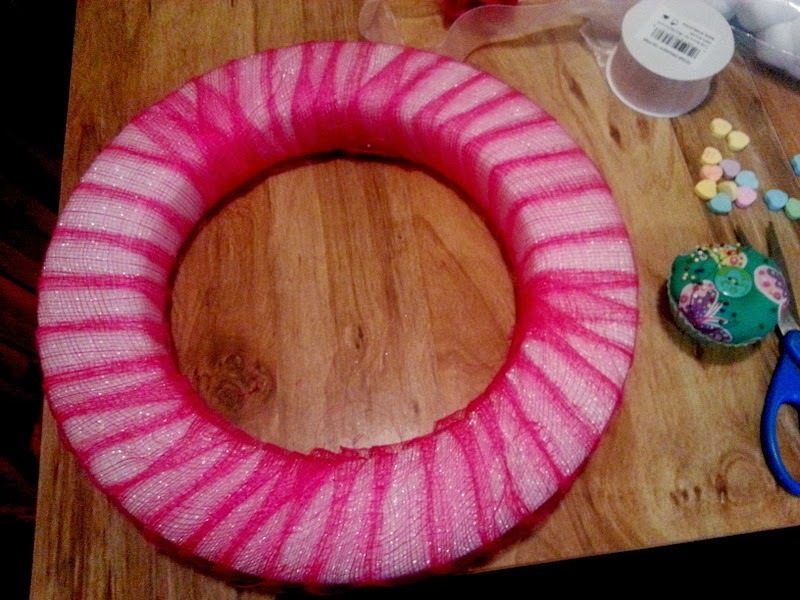 Then wrap the wreath either in pink, red, or white feather boa. 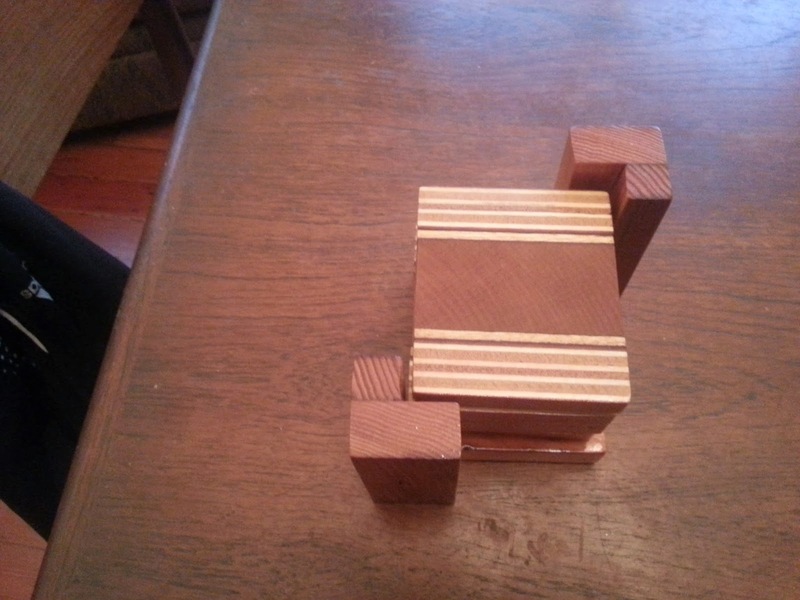 Okay, I know I brag about my husband's woodworking skills but, come on, the guy's an IT computer geek. He's not supposed to be a handyman...but, believe me, he is. You have to remember that our house was built in 1890. So, even though I'm not so good at math, that makes it well over 100 years old...okay 125 years old (I used the calculator ;D) but, if he weren't handy, we'd be in trouble. 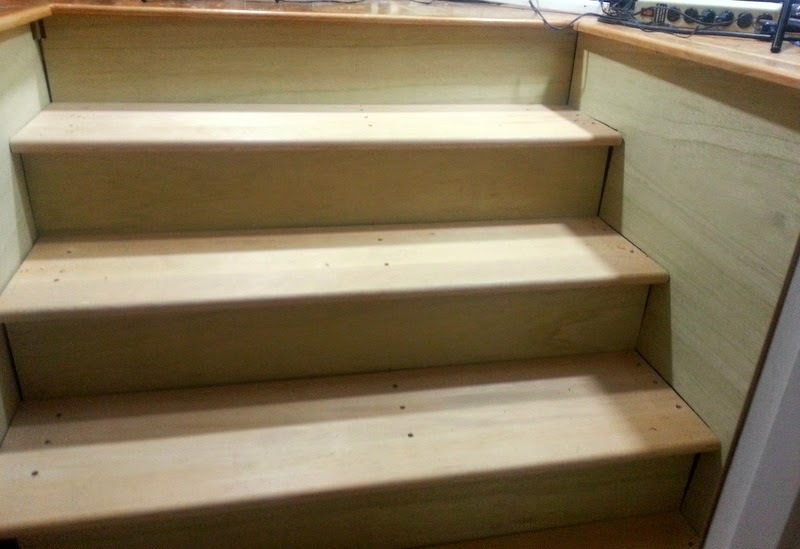 'Cuz a house this old, always needs something...a nail, a screw, a new floor...yep, and even new stairs. 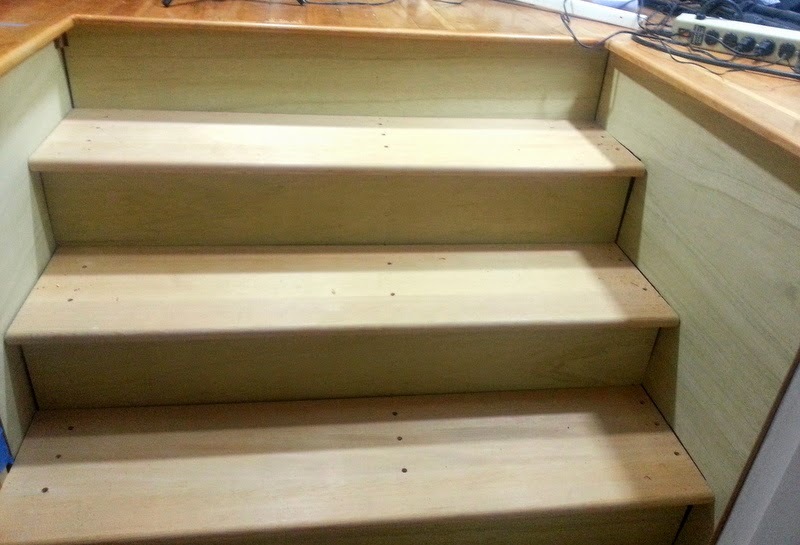 So, he still needs to fill the nail holes and sand and varnish the steps, plus he has to add a little quarter-round at the edges, but these babies turned out beautiful! Okay, so this photo is not such a different angle . . . but I tried. And I'll post another picture when they're finally finished. But, now, the room is on the final finish countdown...for real! 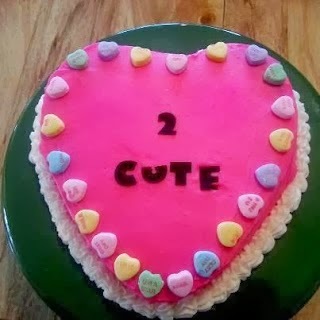 It's EZ to make something fun and "cute". And all it takes is a few sweethearts. 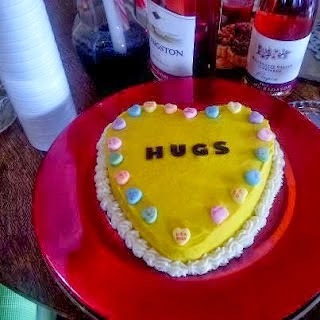 And it's a tasty way to show a little love. 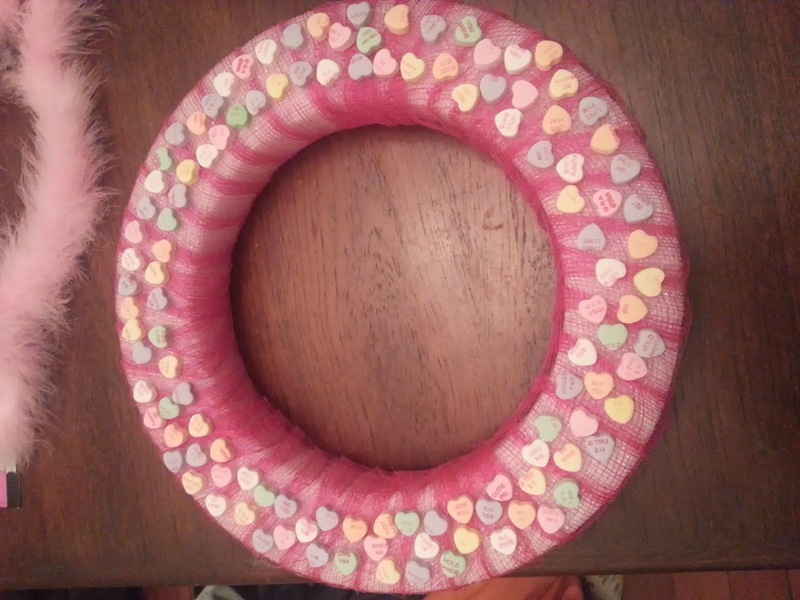 Here's another gift my hubby worked on over the holidays. 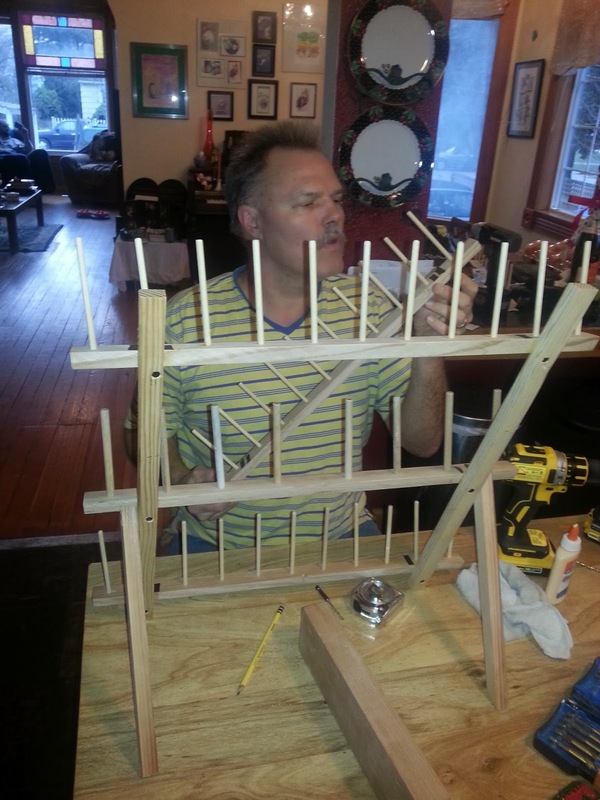 He took the wooden slats from an old futon that had been thrown away and started putting them together in an entirely different way. 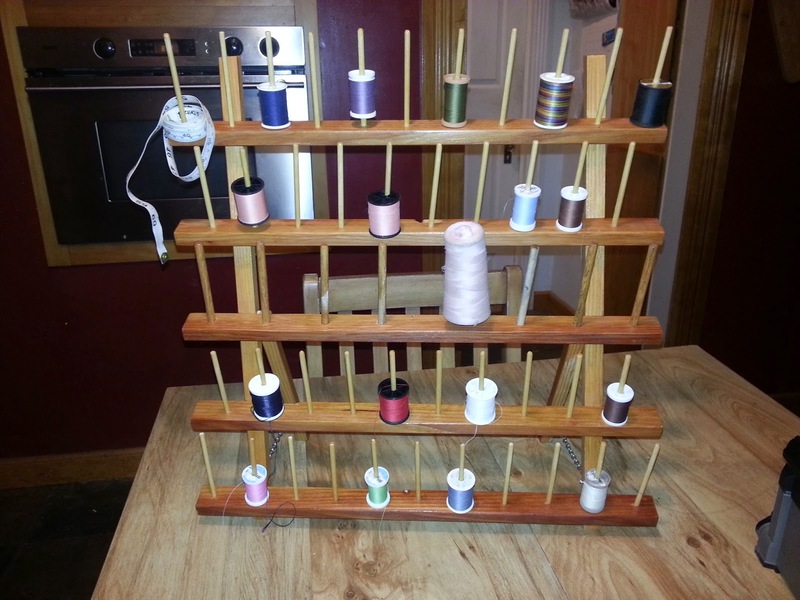 He wanted to make a gift for a woman who loves to sew and has way too many spools of thread laying around the house. 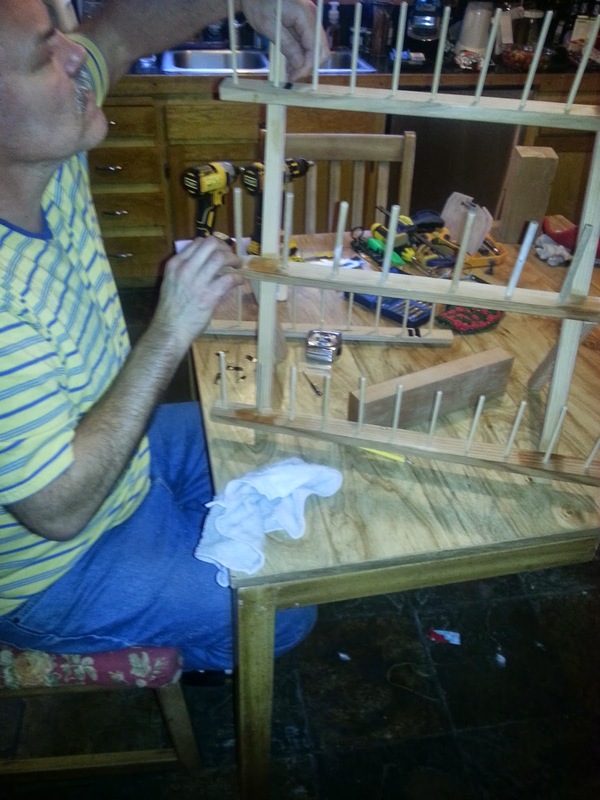 So he drilled some holes in the slats, and started putting dowels into the holes. 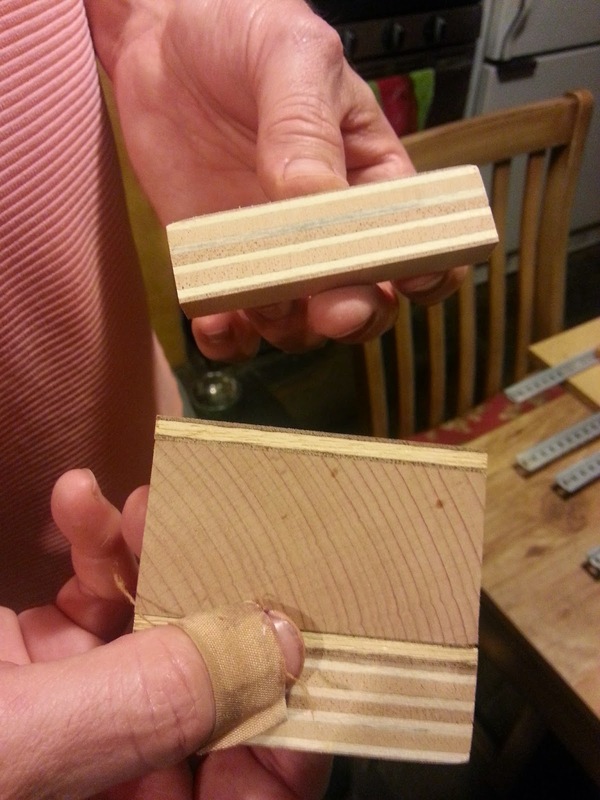 He measured, cut and drilled away. Lars is willing to go dumpster diving . 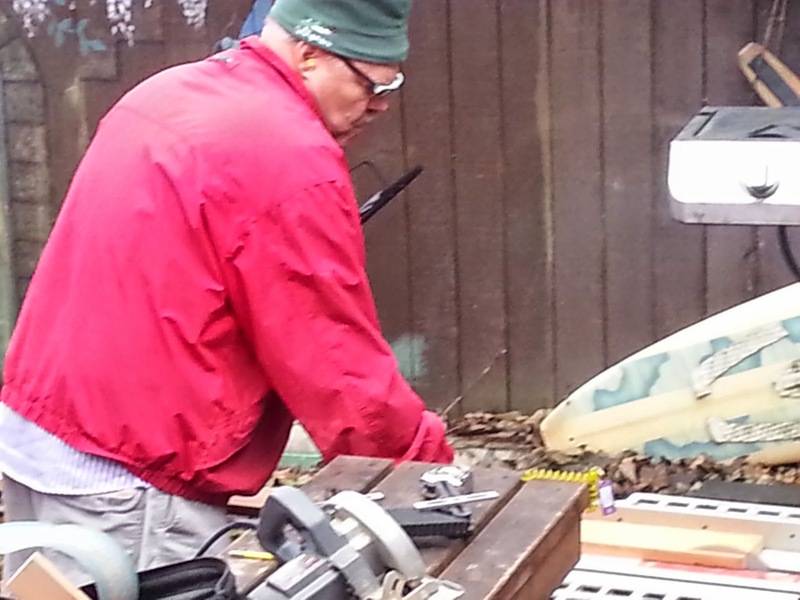 . . if it's for old wood that someone has thrown away. Yes, he'll knock on their door and ask if they mind if he hauls away their wood. And since they have to be by the weight of the dumpster, they are always willing to let him have it. 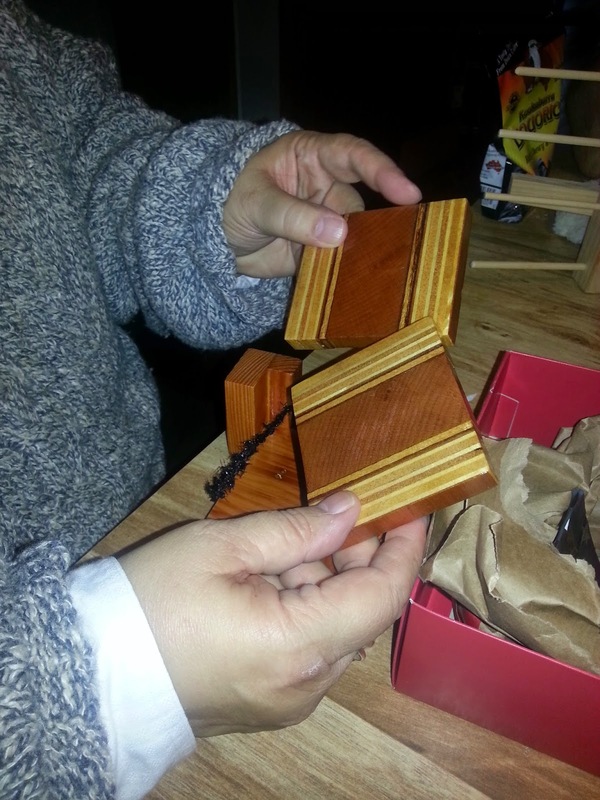 Then my hubby brings home the wood and cuts it up to repurpose it into something beautiful. 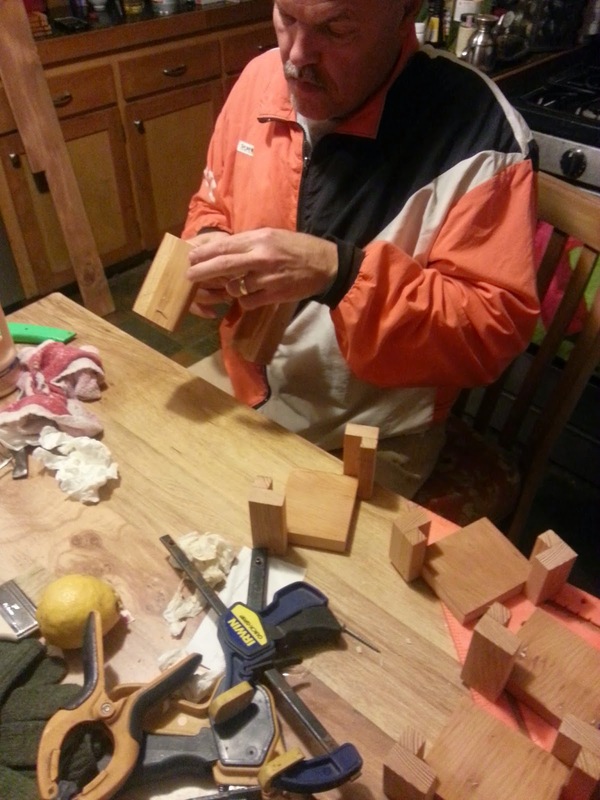 He took this old wood and glued it together to make Christmas presents. Then he put a clear Varathane on them and let them dry. 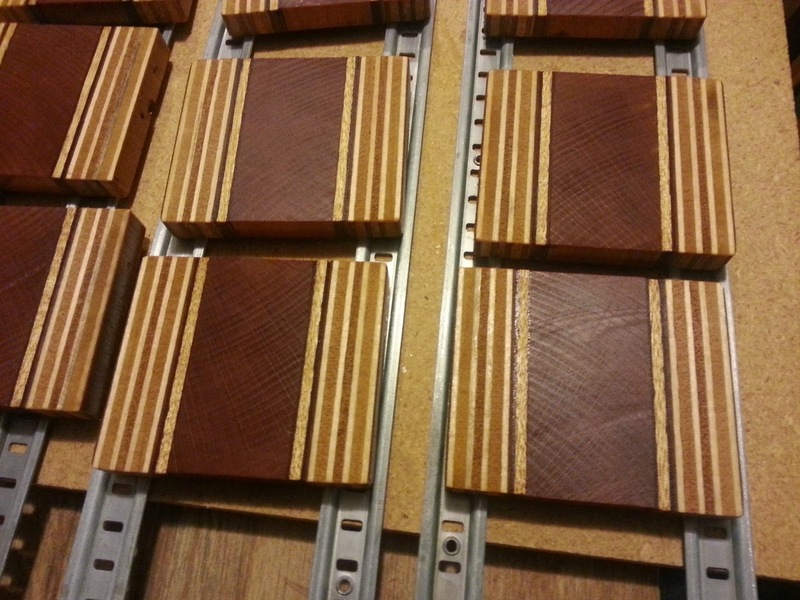 This wasn't a stain, the wood was what made the coasters so beautiful. 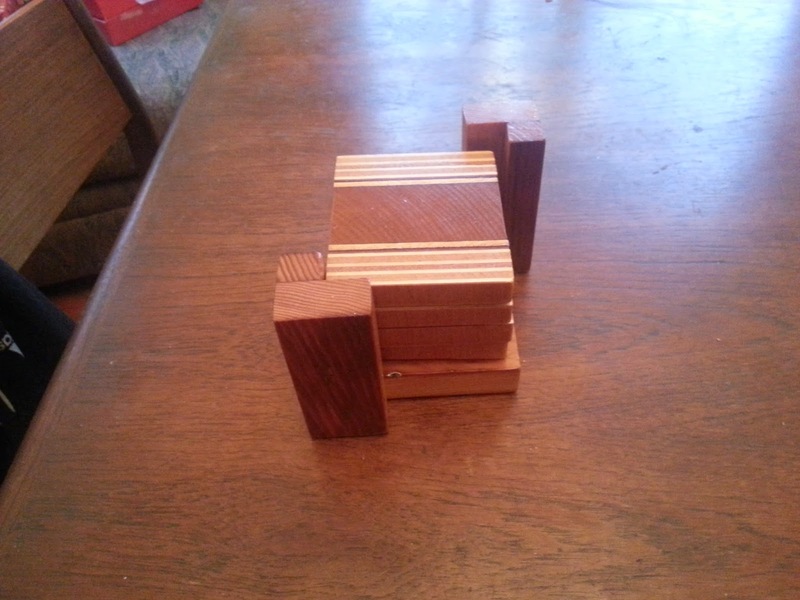 Then he had to make coaster stands. 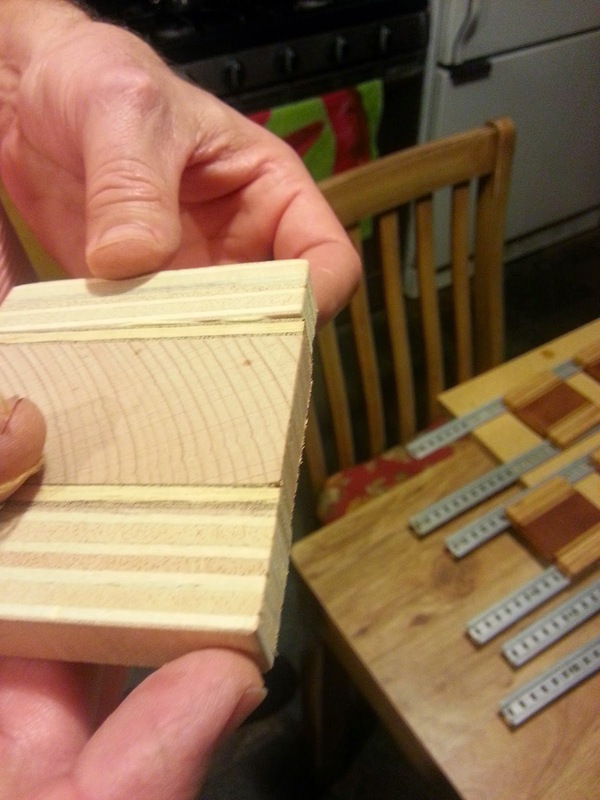 And he measured, cut and glued them together. And we wrapped them up and gave them with a bag of coffee and a mug or two. It was a perfect way to reuse old wood. GO BIG O! GO DUCKS! 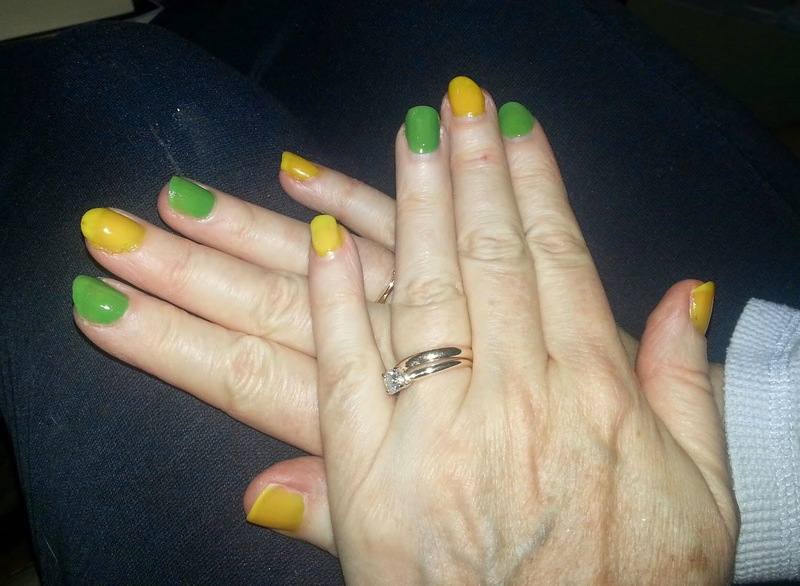 I'm ready and routing for the Ducks! Go Big O and that O is for Oregon not Ohio! We celebrated the New Year with food. And this food was open-faced sandwiches or Scandinavian smorgasbord. These little sandwiches only use one piece of bread and plenty of fish, meat and toppings. We brought shrimp sandwiches. The shrimp was blended with mayonnaise and topped with dill weed and it was delicious. These are traditional fare featurings from Sweden, Denmark and Norway. 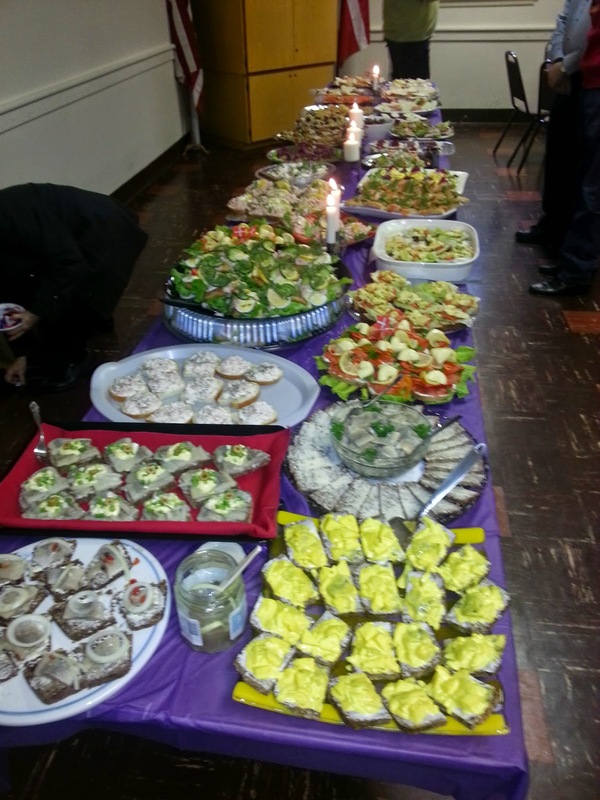 There was pickled herring, potato and tomato and lots more. It was a fun way to celebrate the holiday. There are a few tricks to making these Pac-Man balls of yummiliciousness. 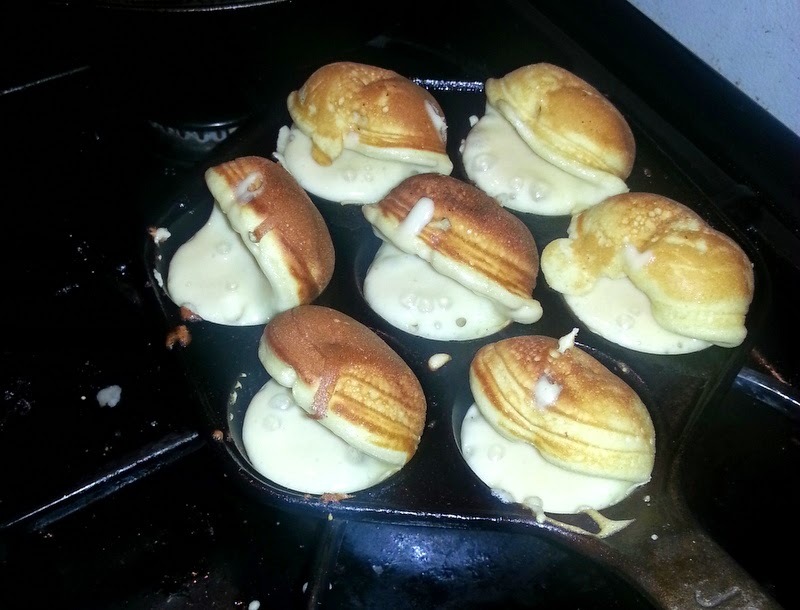 1) The first major trick is to make sure you have PAM on hand or that you have a seriously well-seasoned pan (which by the way must be the special-specific aebelskiver pan). If you don't have a super-seasoned pan, the little balls of goodness will stick to the pan and decimate your results. 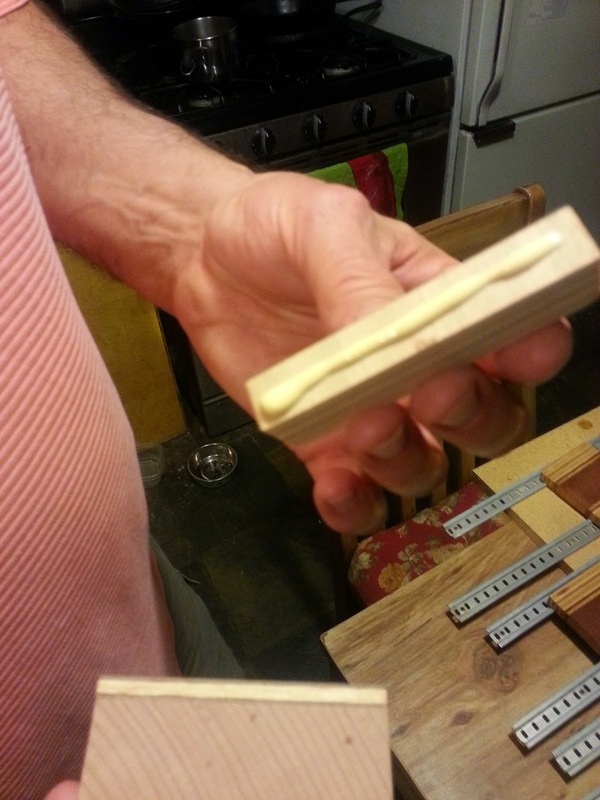 2) The second major trick is to use bamboo shish kabob skewers to flip your balls 1/4 turn at a time. If you use a fork, they will create too large of holes and if you use a spoon, well, just trust me on this one. Mix buttermilk, flour, sugar, baking soda and baking powder until well blended - then add in the egg yolks. When all ingredients are mixed well, fold in the egg white mixture. Spray pan with PAM or some other nonstick spray and fill each hole nearly full. When little bubbles start to form, flip each ball 1/4 turn. Continue flipping 1/4 turn at a time until balls are well-cooked. Serve with powdered sugar and jam. Ready to bring your writing and illustration skills to The Next Level? Whether you're plotting a novel or perfecting a picture book, SCBWI Oregon’s professional series will give you tools to advance your career. When you look at someone's success story, do you ever wonder about the journey? Cat Winters will talk about her "overnight" success story that took years. Author-illustrator Nicole Rubel will share insights into her career journey that include over 60 books, including the Rotten Ralph Series. Cat Winters’s critically acclaimed debut novel, IN THE SHADOW OF BLACKBIRDS, was named a 2014 Morris Award Finalist, a School Library Journal Best Book of 2013, a YALSA 2014 Best Fiction for Young Adults pick, and a 2014 Oregon Spirit Book Award Winner. She is also the author of THE CURE FOR DREAMING (Amulet Books/Oct. 2014), and her upcoming releases include THE UNINVITED (William Morrow/2015), THE STEEP AND THORNY WAY (Amulet Books/2016), and a short story in the YA horror anthology SLASHER GIRLS & MONSTER BOYS (Dial/2015). She lives outside of Portland with her husband and two kids. Visit her online at CatWinters.com. Nicole Rubel is an author/illustrator known for her uniquely colorful illustrations and charming stories. She has over sixty books to her credit and is the co-creator of the popular Rotten Ralph series. Raised in Cora Gables, Florida, Ms. Rubel received a Bachelor of Science in Art Teaching from the Boston Museum School in association with Tufts University. Ms. Rubel’s art style was inspired by the paintings of Henri Matisse and the art deco architecture of her hometown of Miami. Her imaginative, poignant and sometimes comical storylines are often derived from growing up with her identical twin sister, Bonnie. As a child, she let her sister speak for her. Through the encouragement of an insightful teacher, Ms. Rubel learned to speak and write for herself. Therefore, a significant theme in her stories is finding oneself and learning to express one’s feelings and thoughts. 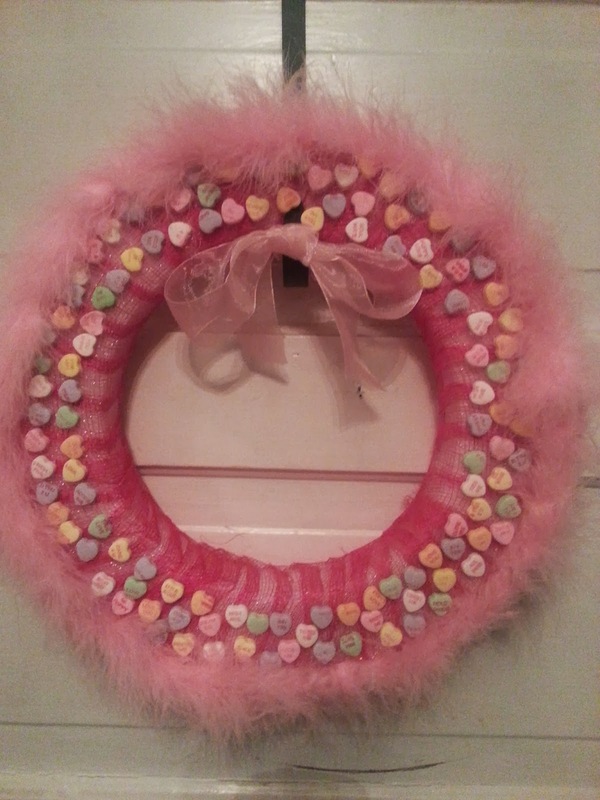 She currently resides with her husband on a farm in Aurora.